Everyone is afraid of the Terminator. Ok, not The Terminator, but the idea that Terminator-like, sentient robots will one day eradicate humankind off of the face of the planet. 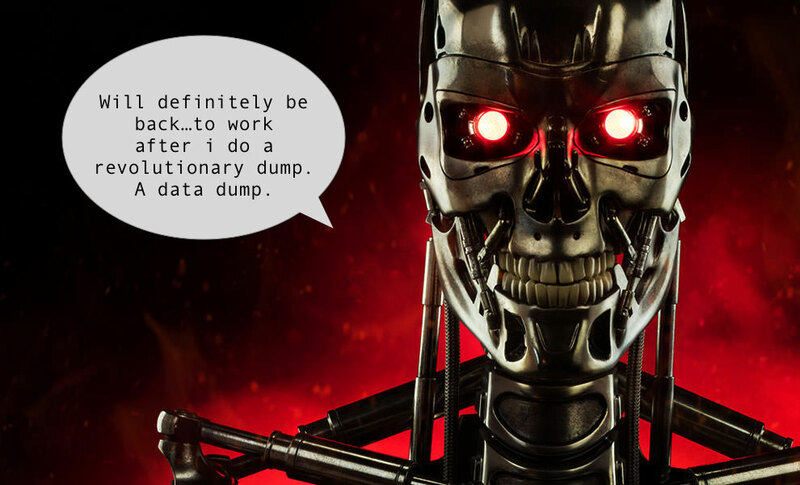 Today I wondered what Terminators would sound like if I helped them speak, instead of speaking for themselves. So, I took all of Arnold's lines from T2: Judgement Day and put them into Jamie Brew's Voicebox and started typing. Here's what I have so far. In my opinion, this Terminator sounds more like a cool robot when I get to creative direct his words as selected by a Markov chain.